Paschal Donohoe, TD, Minister for Public Expenditure and Reform opened the 4th IGEES Annual Conference on 8th June 2017 in the Conference Centre, Dublin Castle. It was attended by over 130 people working in Government Departments, academia and various research institutes. 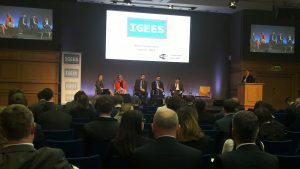 Each year, the IGEES conference focuses on the most pressing issues. This year, the conference opened with a presentation from Dr Albrecht Ritschl from the London School of Economics on the challenges and opportunities for Ireland from Brexit. This was followed by an Irish perspective on Brexit with presentations from the Department of Finance, Agriculture, Food & the Marine, and Jobs, Enterprise & Innovation. 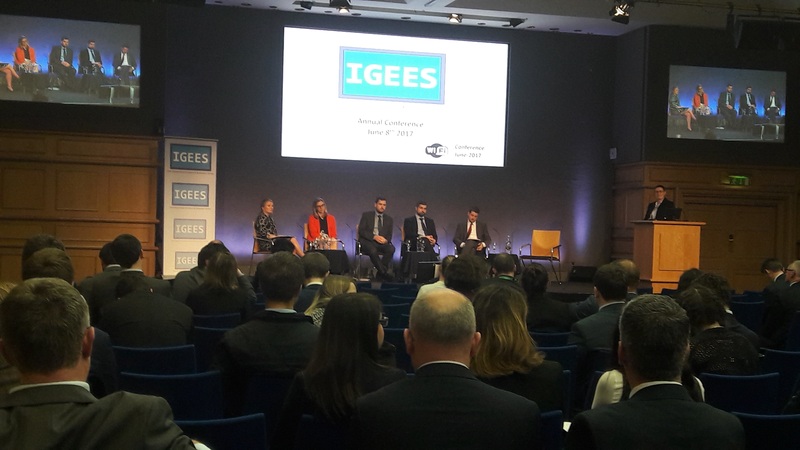 This opening session focused on the challenges and opportunities for Ireland from Brexit. The conference then split into parallel sessions where IGEES staff and members of academia presented on their work. This showcased the use of evidence and analysis and how it is informing policy across all sectors. The conference was closed by the Secretary General who set out how IGEES was one of the important tools in strengthening the use of evidence to inform policy making. 3) Irish Agri-Food Sector Sinéad McPhilips, Department of Agriculture Food and the Marine.